© 2012 by John Garland; All rights reserved; content may not be copied, rewritten, or republished without authors written permission. An outdoor patio is like an extension of your homes living space during the mild summer months. Bring out the fun this space by spicing it up this summer with decorations that suit your personality and your home. You can create an inviting atmosphere outdoors with these frugal suggestions for decorating your patio area. Begin by selecting a theme for your patio. If your indoor living areas have a theme, continue that into your outdoor area. Or, turn up the excitement a notch by incorporating a tropical, Mediterranean, ocean side, floral or Hawaiian theme. Having a theme to your patio makes the decorating process easier and helps you in coordinating colors, fabrics, finishes and accessories to achieve a cohesive look. Look to the outdoor area surrounding your patio for inspiration when choosing colors. Blossoms on nearby flowering plants and trees, the luscious greens of summertime, and the bright colors of the sunrise or sunset are all attractive choices that can tie in with your decorating theme. If you prefer, this planning can just as easily work in other ways. 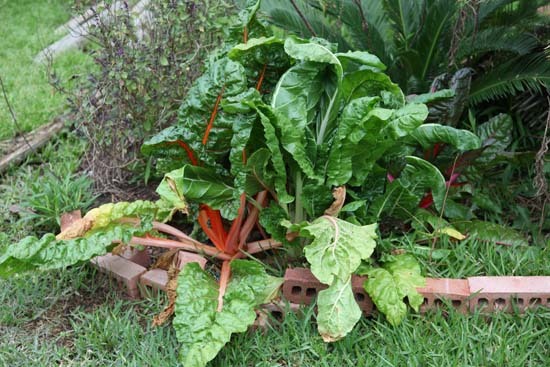 For example, if you are planning a garden with colors from hibiscus bushes or the multi-color patterns of Swiss chard, match that theme for your color choices. Coordinate the colors of your furniture cushions, patio awning if you have one, linens and dishes within the same color family. If creating linens and fabric cushions is you, walk through the clearance section at the fabric store to get a better deal on quality fabrics. Consider choosing a solid color as your main fabric and using a print for smaller finishing touches. This allows you to update your look from year to year without replacing all of your linens. To stay within a reasonable budget, everything does not have to match perfectly. Stick to one main color with no more than two or three coordinating colors for an attractive finish. 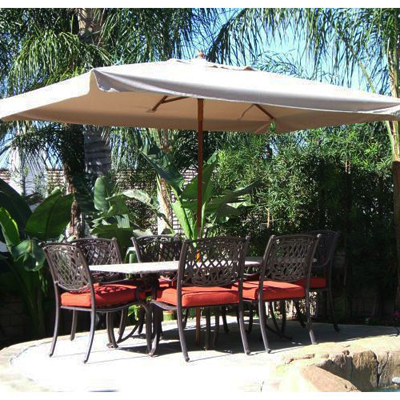 Your outdoor patio furniture and accessories will receive plenty of exposure to the outdoor elements. From the heat and humidity to summer thunderstorms and the suns intense rays, your choice in fabric and wood must be able to stand up to whatever nature has in store. Select fabrics that are machine washable to avoid dry cleaning costs. Choose wood furniture that has been sealed for protection against the weather. Otherwise, select from other options such as wicker, PVC, or plastic that are more durable and will provide you with outdoor enjoyment for many years. The style of design you select for your patio depends on what you intend to do on your patio during the summertime. If you envision relaxed barbecues, you might choose an easygoing style. If your preference is more of a sophisticated evening serving specialty drinks, consider a more chic style with modern lines. Finding fun accessories to add to your patio is sure to be an adventure. If you are the type who enjoys a treasure hunt, seek out thrift shops, secondhand stores, and even garage sales. These venues offer an eclectic selection for pennies on the dollar compared to department store prices. Discount stores, dollar stores and craft stores are another low-cost option for fun accessories with personality. Got suggestions on patio decorating for our readers? Tell us about them in the comment section below. I offer blog-writing services. Interested? Hire Me! Website © 2008 KSmith Media, LLC; all rights reserved.